Established in 2004, we are proud to offer professional tree services using modern tree pruning methods and safe tree removal as suggested by the International Society of Arboriculture. Our certified, Calgary arborists and skilled workers are trained to work safely and professionally with a high standard of practice. By definition, an arborist is an individual trained in the art and science of planting, caring for, and maintaining individual trees. 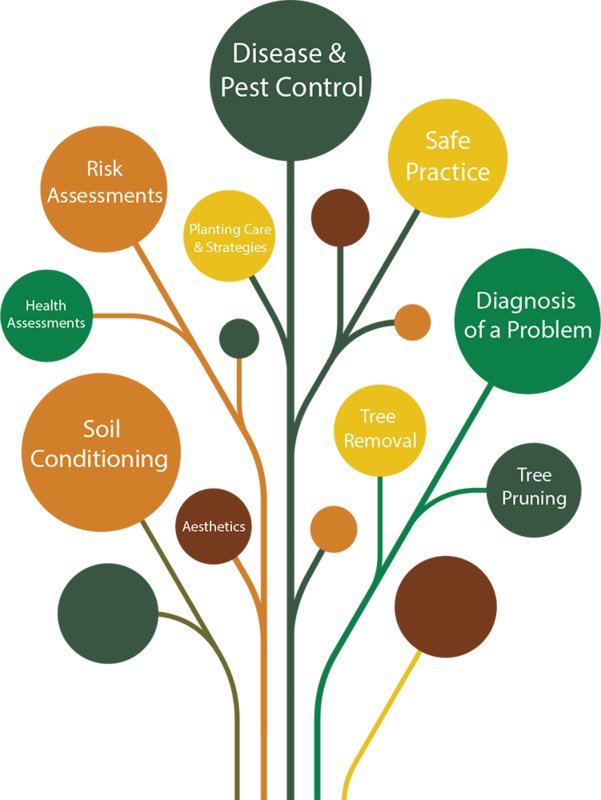 Arborists are knowledgeable about the needs of trees and are trained and equipped to provide proper care. Hiring an arborist is a decision that should not be taken lightly. 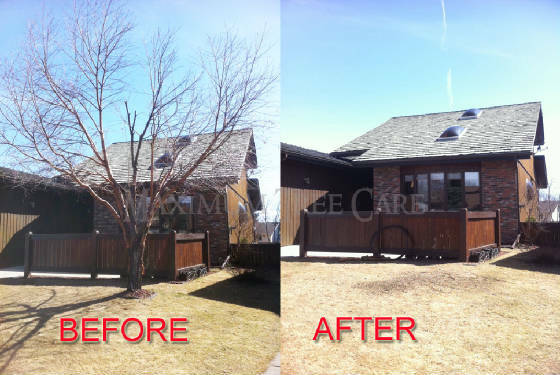 Although forest trees grow quite well with only nature’s pruning, landscape trees require a higher level of care to maintain their structural integrity and aesthetics. Sometimes it is necessary to remove trees. Damaged, diseased or safety concerns can turn some trees from an asset into a liability. Bolting and cabling are effective methods of preserving and strengthening a potentially weak or hazardous tree. Stump grinding is an efficient method of removing the roots and stump of a tree once the upper portion has been removed. Correct and accurate identification can lead to proper treatment for your trees and prolong their existence and prevent costly removal and replacement. Fertilizing and soil conditioning can greatly increase the overall performance of your trees. Firewood and mulch available for free drop off. Contact for availability. We encourage our clients to email photos of their trees in order to reduce the amount of fuel consumed estimating. Yes, estimates and quotes are completely free. However, we sometimes charge a small fee for in-depth consultations. What is wrong with my tree? Diagnosis is a part of our services. Send us a picture with some information about the area to help us diagnose the problem. When is a good time to prune my tree? This depends on the species and the amount that needs pruning. Fruiting and Elm trees should be pruned in the fall/winter. Early to mid-fall and spring, as soon as the ground is thawed, are the best times. Planting trees in the summer months may cause undue stress to the tree due to excess heat. Trees should be watered 1-2 times per week around the drip line, only if Mother Nature is not providing enough moisture. Not enough water can stress a tree out, and a stressed out tree can attract infection or disease. Fertilizer comes in many different formulas to meet the specific needs of different tree species. Once the appropriate formula has been determined, the spring or fall is the best time to apply fertilizer. Fantastic service! Took care of the tree that was causing some problems, quickly and efficiently. The cleanup was better then my yard was before they got there. Would absolutely use them again and recommend to anyone who ever need their help!!! Thanks guys!!! Amazing service!! Peter was super punctual, friendly and the work was top notch. 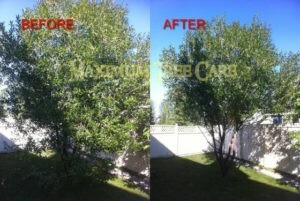 I would definitely recommend Maximum Tree Care. Excellent service! 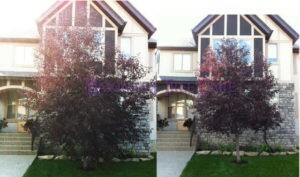 Peter and crew came in to trim our large ornamental crab apple and did a wonderful job. They also came to remove a diseased birch and removed the stump. Peter was timely with emails and phone calls as well as services. Would recommend to anyone. If I could give a rating higher than 5, I would. They replied quickly, explained the problem(s) clearly, gave me options and once I decided which option I wanted, service was excellent. They arrived on time, explained what they were going to be doing, and got right to work. They were courteous, polite, and worked constantly until the job was done. Their cleanup exceeded my expectations - I was very pleased. 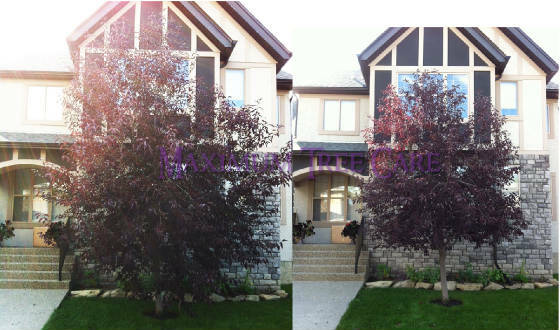 I would highly highly recommend Maximum Tree Care Ltd.
Peter and his crew are always very professional and safe. He took the time to answer all my questions, and ensured the yard was cleaner than it was when he arrived! Peter removed one tree and pruned several two years ago, so when our Spruce was needing to be removed I had no questions about who to call. He was able to schedule me in one week later and the entire process was so quick. 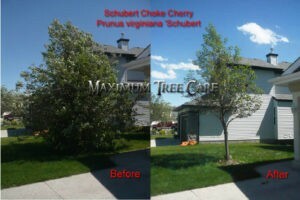 I would recommend Peter and Maximum Tree Care to anyone looking for tree removal or pruning. Thank you for making my life easier and removing my sticky sappy tree!! Liked Our Services & Interested In Hiring Us? We listen to your concerns and give you the best advice to keeping it cost effective and lasting long term.